It’s becoming increasingly clear that the city of the 21st century must have a resiliency plan in place for its critical infrastructure. The hurricanes that created severe flooding and other destruction in places like Puerto Rico, Houston, and Florida this year – collectively causing $265 billion in damages – have demonstrated the harm that can come from severe weather events. Climate change is also expected to increase the magnitude of these events, with some models predicting up to an 87% increase in the frequency of Category 4 and 5 hurricanes in the continental U.S. In this context, city leaders are recognizing the need to put preparations in place now so that the infrastructure that keeps their cities running can recover quickly from future damage. Advanced Energy Group (AEG) will employ a similar approach to explore the potential synergies between cutting-edge energy technologies and the resiliency needs of cities like DC. 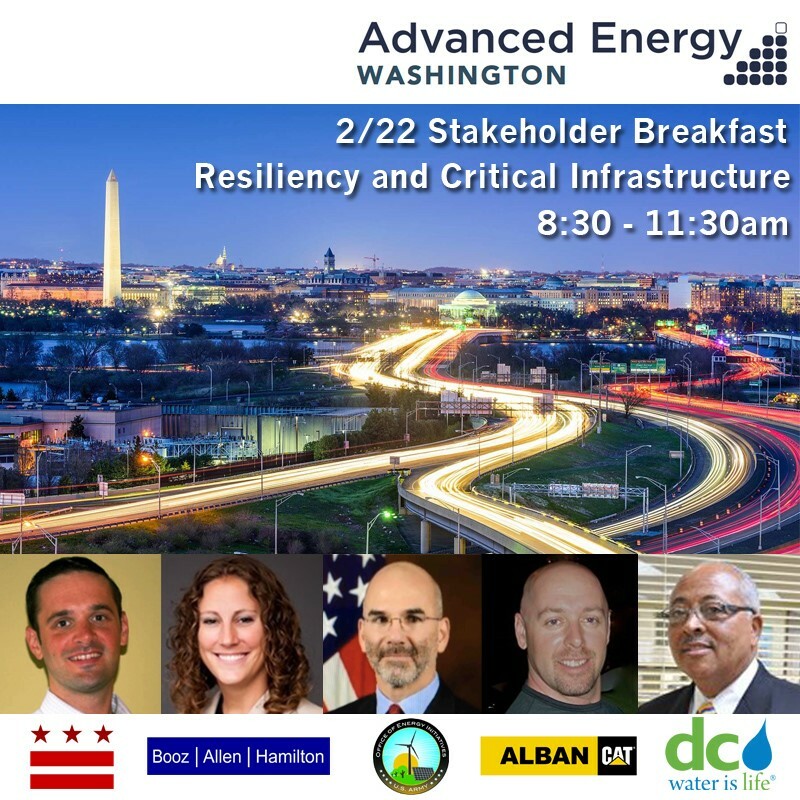 The upcoming Q1 2018 Stakeholder Breakfast on February 22nd will bring together experts from the District’s Executive Office and the U.S. Army with representatives from government research labs and the private sector to discuss how innovations in the way we use and transport energy can improve our power system’s resiliency to exogenous shocks. This will include not just traditional hardening measures to grid infrastructure that can prevent damage in the case of a severe weather event, but also new technologies like distributed generation and microgrids that can keep the lights on even when the grid is damaged. In this way, AEG aims to add to the ongoing discussion looking at how DC can best serve its residents through improving urban resiliency.